We are a sub eating family in our home, and pretty good at creating them ourselves. Yet when the opportunity arises for us to snag some for a great deal, so my husband can have a quick lunch or the boys a great treat, we do that as well. This Groupon daily deal is good for eight subs for $26 (regularly $52). 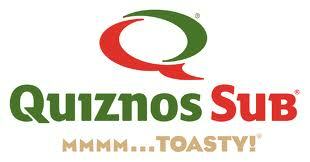 You will take your Groupon into Quizno’s and they will give you a punch card. This enables you to get eight subs at any time, love that flexibility, but you must redeem them by July 4, 2011. If you have signed up already, feel free to go straight to this great sub deal. I could read your blog all day! So much timely and great information. I learn something everytime I check in .